It has really become obligatory to have some space of your own in the world of internet. No business can grow in isolation, which means that the need of partnership in business can not be neglected. Every business requires some customers who may help them to grow and expand. That is one of the reasons that websites are becoming more and more essential with every passing day. Although, all sorts of websites are important, but when it comes to business sites, things get even more complicated. There are a lot of things which are to be considered in order to develop and design the best website that may successfully portray all of the business aspects of a company. Many e-commerce websites of small businesses reflect a poor outdated website design. It is important for your website to reflect a modern clean cut look and feel. If your e-commerce website design is not professional and the website looks like it was designed in the nineties then it is important to consider re-designing your e-commerce website. A professional design for your e-commerce website is crucial and the website design task is best left to experts. Many e-commerce websites make a common mistake of not presenting detailed information on their product range. A common problem with e-commerce websites, especially small business is the lack of detailed information on products being sold on the website. Even if an e-commerce website has a large product list, it is important nevertheless to have an independent product detail page for each and every product. Avoid only one line descriptions for your products. Information on products can easily be found on manufacturer's website and in most cases, they are happy for you to use it on your website. Another common mistake with many e-commerce websites is the lack of visibility of the company's contact details i.e. telephone number and address on the website. Customers often look for this information as it helps build trust, knowing that someone will be there to answer questions should a problem arise with the purchase or the product. It is a often a good idea to include telephone and address on all pages either on the header or footer. An easily accessible email inquiry form or request call back forms on the website also help build customer confidence. Another common mistake businesses make is failing to convey clearly via the website the advantages or benefits of purchasing from them. Customers usually research competitors before making a decision. 5. Not having an ongoing search engine optimisation strategy. Many e-commerce businesses make the mistake of thinking that if their website is there, it will automatically attract new customers. No matter how professionally designed your website is or if your website has been created with search engine optimization in mind; appearing on the first page of Google is not something that will be achieved on its own. Thousands of businesses compete for first page ranking for any given keyword however only 10 can appear o the first page. In order receive targeted traffic to your website and generate increasing leads and sales, you will need to have an ongoing search engine strategy and commission an ongoing search optimization campaign. Although it is not something that will be achieved overnight, the benefits far outweigh the costs involved. 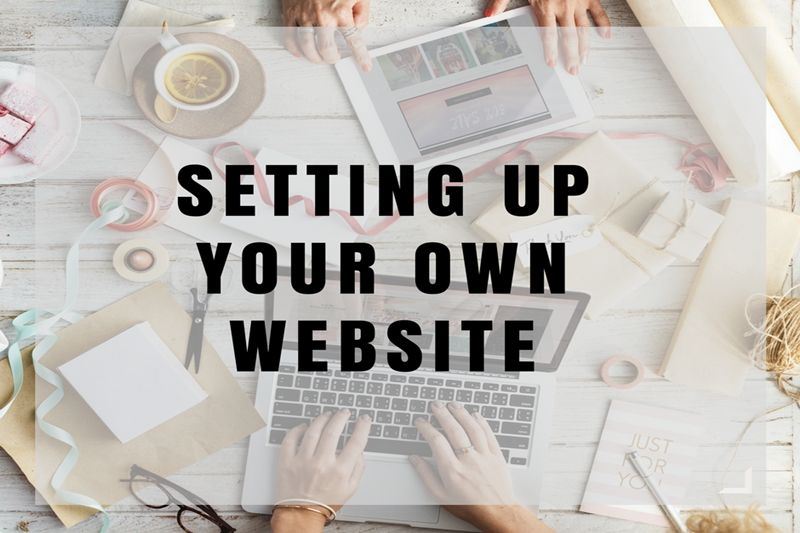 If you want to set up your own website but don't know how to start, WAKIM has got you covered.We can help you step-by-step. Contact us.